Why can't we have Labello lip balms in the U.S.? Well, now that I am a bit settled into my new home of Honolulu, I can finally start posting some stuff about my trip to Europe. And why not start with something fun for all . . . lip balms! And feel free to click on the picture to expand it to see the selection in all it's glory. Well, when I first saw Labello lip balms I was immediately taken back by their aesthetics. The design is something simple, yet beautiful. And these are just "regular old" lip balms found everywhere through out Europe (I picked some of mine up at a high end pharmacy, and some at a rest stop!!). As I had mentioned before, i don't know why, but the packaging of products in Europe just seems to be so much cooler than here in the States. Labello lip balms are one example, don't you agree? I mean, I'm sure there'd be a huge market for them here in the U.S., but I certainly haven't seen them anywhere. Maybe some of you have? All I know is that they are everywhere in Europe (and in almost all countries there as well). So I wanted to introduce you to labello lip balms if you hadn't seen them before. Cute huh? Now the nitty gritty . . .
Do they work? Are they good? Well, let's just say they're the same old lip balms pretty much, just in nicer containers. Seems like labellos are made by the company that makes Nivea. Time to bring it over here to the U.S.A.! This post is just for entertainment only. I am in no way affiliated (financially or otherwise) with this product or company. OMG!! These look so yummy!! I wanna find some of these. Me too!!!! They are so cute! I want every flavor. I agree. They are a pain to try to find, but you can find them in the odd retail store and pretty easily on eBay. Also at www.feelbest.com. The site looks a bit sketchy, but I've bought stuff from them without any hassles. 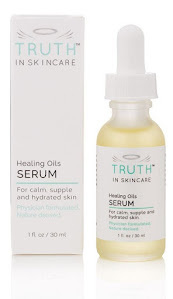 You can find them at pretty much every drug store in Canada, but I don't like the heavy Petroleum content...I don't think its healthy for people or for the Earth. Hey There! 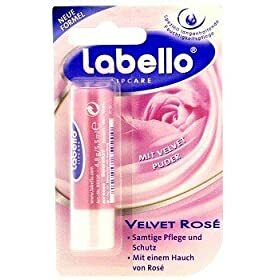 I'm from a country, where all kind of Labellos can be found :) I'm also a lip balm addict since i was 7, my first lippies were Labello, starting with the very first rosé, what's picture is on Your site. :) I have to admit, that now (i'm 21) so so much hate the Labellos! Velvet rosé is a catasrophe, it makes the lips more and more dry (i don't remember the ingredients) nearly all of my beuty-product friendly mate told me they hate is too. The others are just simple, you-have-to-apply-it-every-2-hours lip balms. The /relaitvely/ new formulas, like the one called S.o.S are ok, but a carmex lip balm is a heaven for me after a labello. Yes, the Niveas manufacturer, the Beiersdorf makes them, and tha lip balms called 'Nivea' in the Labello-tube is actually Labello...so it will be easier to find. I even saw niveas at sasa.com. my dermatologist recommended labello to me for very very dry lips. he said to try something without petroleum. i found it on the internet easily. the sos and the sunscreen are the ones i use. BUT, another suggestion from the dermo was 'elta' creme moisturizer. this was hard to find, but walgreens can order it. it's a swiss product. that is what cleared up my 'sailors lip'. you can actually find all Labello lip balms under the "Nivea" brand.. it's the same thing. In my country we had Labello first, then they replaced it with Nivea. I even tried both strawberry lip balms at the same time and they are identical. I experienced the same thing! I stock up every time I go to Germany because you can't buy it in the states and it's expensive to order online. The reason; Nivea makes it, but Nivea can't sell their product in Europe because they are made with chemicals that are banned in Europe. The Nivea we buy here is not the same. The lobello we buy in Europe is Nivea without the banned chemicals!